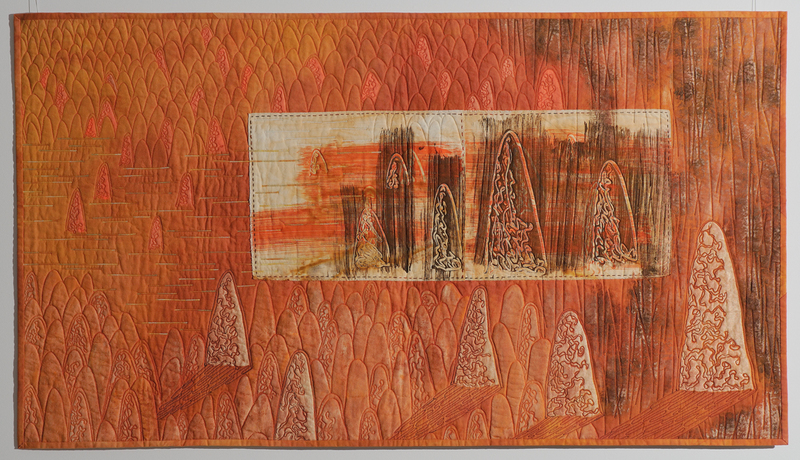 Since she began quilting in 1990, Sue has exhibited in Australia and internationally in invitational, juried and touring exhibitions. Her designs are heavily influenced by the dramatic Australian landscape, having lived and travelled widely throughout the continent. 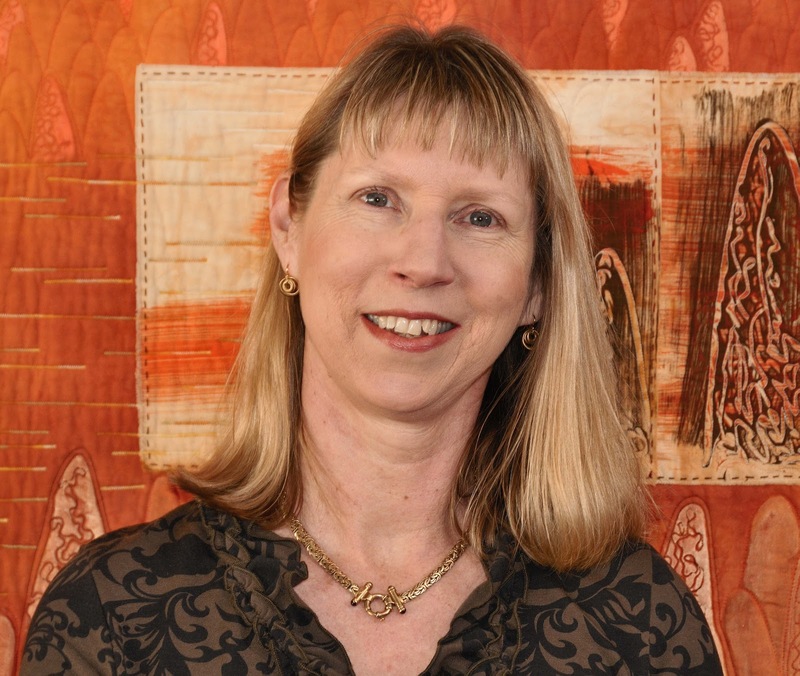 Sue has a distinct style of art quilting and is recognised for her original work that incorporates numerous surface design techniques and stitch. She is drawn to colour and the textural possibilities of the quilted surface. Her prize winning work is represented in public and private collections. “What Would You Take?” was the winner of Australian Quilts in Public Places 2001 and was acquired by the Immigration Museum, Melbourne. Sue works in the quilting industry as a tutor, judge and curator, is frequently published and is a member of Studio Art Quilt Associates, Ozquilt Network, The Quilters’ Guild of NSW, Queensland Quilters and Sunnybank Quilters. "Anthill - Silent Cities", 27" x 48"